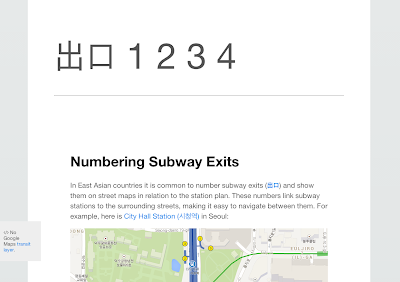 In a bit of an aside from what I usually work on, I've put together a small website with a simple purpose: advocating for subway station exits to be numbered. These are really handy for finding your way around and are common in East Asia. But I've never seen them in Western countries.